Rush, rush, rush. This is what mornings used to be like in our home. My son would get breakfast, but usually my husband and I would just skip breakfast. Who had the time? Now don’t get me wrong, mornings are still busy here during the school year. But now that school has been back for a month now, I have finally got things running more smoothly. One thing that makes mornings easier, as well as getting our day started off on the right foot, is to eat breakfast. We love Rice Krispies! Rice Krispies, brings back such fond memories of my childhood. I use to love to listen to the Snap! Crackle! and Pop! Seriously, I would sit with my ear close to my cereal bowl, listening. My sister, brother, and I just loved it. My brother thought it was the 3 Rice Krispies guys making the sounds. Hee-hee. With vitamin- and mineral-fortified Kellogg’s Rice Krispies cereal, I don’t need to worry about sacrificing nutrition when getting my family out the door each morning. Rice Krispies cereal is made with simple ingredients and is fortified with 11 essential vitamins and minerals. Starting our mornings off with cereals like Rice Krispies definitely gets us going in the right direction. Share your back-to-school magic breakfast moments sparked by Kellogg’s Rice Krispies on their Facebook fan page at https://www.facebook.com/ricekrispies. Pack school lunches the night before – This will make your mornings much more stress-free. And really, who wants to be making sandwiches at 6:30 in the morning? Lay out school clothes – This is easy if you have young kids. My son is nine, and will lay whatever I lay out for him. If you have older kids, you just need to get them into the habit of picking out their clothes before going to bed. Always do homework the night before – We make sure to always check our son’s homework folder to make sure it gets done before bedtime. Nothing more frustrating than having a child rush through homework so early in the morning. 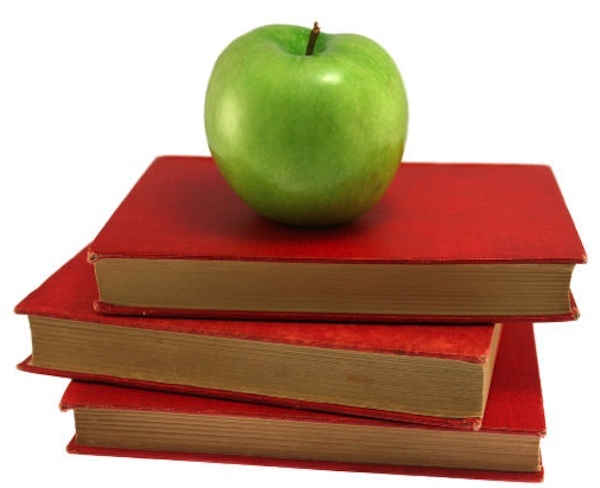 Have backpacks ready to go – Anything that needs to go back to school the next day is put into the backpack before going to bed. That way they can just grab it as they go out the door. Keep a basket/container by the door to keep car keys – If you take your children to school like we do, there’s nothing worse than starting out the door only to discover you can’t find your keys. So have a designated place for them. These are just a few tips, but I hope they can help you make your mornings less hectic. I have some great news! 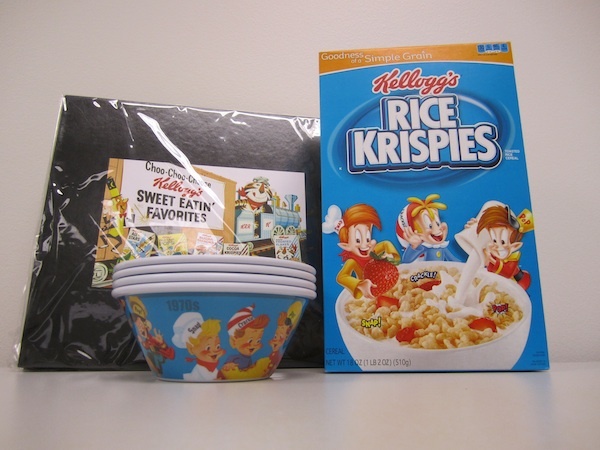 I have a Rice Krispies prize pack to giveaway to a Blog by Donna reader. Disclosure: I have received compensation from TheMotherhood for my participation in this campaign. As awways pinions 100% my own and may differ from yours. I so want this my kids love them!!! I put my clothes for the next day on the dresser and set the coffee pot to start. Saves a little time. I have backpacks all set by the door, clothes all set out, snacks in fridge all packed in a bag. I also set up coffee pot. Lastly I set it up so that kids fave music is playing when I wake them up. It really does help them get up and going in the morning! Get clothes ready and stuff ready for the crock pot for dinner so it’s ready when I get home. I make sure that coffee is set and ready to go the night before. I also have my kids do everything they can the night before so that mornings are a little less hectic. They all have their own clocks and are responsible for being downstairs at a set time for breakfast and getting out the door. I also realized that a bowl of cereal is just fine for breakfast – no need to stress myself out trying to make a gourmet breakfast each day! Leave a comment telling us something you do to make your morning less hectic. I get up early enough to have time to get ready without having to rush, and for the little things that seem to happen to delay you. backpacks, purses, etc, ready, by the door…clothes layed out the night before and table set for breakfast. I fix my coffee and have a quiet time reading my devotion for the day and praying for those on my prayer list. It helps me to chill and know that God has my back. I get the coffee ready the night before and set it to brew just before we get up. We homeschool so we don’t have a morning deadline to meet. We are very relaxed around here as far as time goes and my kids are older so they get their own breakfast. I try to eat easier things for breakfest like cereal, toast, bagels or granola bars. I also lay out the night before what I am going to be wearing. I also make a list of everything that needs to be done and gathered together so that I don’t forget anything. I get up an hour earlier than the kids and get stuff prepared. I have my daughter pick out her outfit before she goes to bed, I make her lunch before I go to bed. Her backpack & shoes are ready by the door. I put a bowl & cup on the counter for her cereal & milk for breakfast. We pick out outfits the night before plus put everything by front door! I have my daughter get her clothes around for school and I pack her lunch the night before! I get my clothes ready the night before and lay out my hair care products and face products so I am ready to roll post-shower! We make lunch and set out clothes the night before. We also have backpacks at door and ready to go. i get everything ready the night before that i can, clothing picked out, lunch made, back pack packed back up with homework, library book, pe shoes, show and tell if needed, and then i set my kids’ alarm clock for 3 minutes before my own and make sure dishes are done the night before as well. everything is laid out for the morning and lunches made the night before. Lunches, snax packed before bed, all backpacks read through and organized before bed….coffee pot on timer!!! Take care of as much as possible the night before and try to have a morning routine. I lay out my clothes the night before. I put out my 3 and 4 year old’s clothes the night before and get the baby’s stuff ready so I can change him and run out the door with him in time to get to preschool. I do a lot of the same things as you. We pick clothes out the night before. I pack lunches the night before. Backpacks are packed the night before and set by the door. I also plan what everyone will eat for breakfast the night before and get as much ready as I can. Basically we just get everything possible ready the night before so the morning will be less hectic. We would make the kids lunches the night before, so all the had to do was grab it out of the fridge and run. I lie out my clothing the day before. I try to set everything up the night before so there is less to do in the AM. My work clothes are ready and all my work paraphernalia is arranged and set by the door. My lunch is organized and prepared for the next day. We always get our clothes ready and lunches packed the night before. We lay out the kids clothes for the week on Sunday, have backpacks ready and by the door, I prepackage lunchbox items like cookies, and have all the stuff for sandwiches together in the fridge so I have one go-to area. I get my kiddos clothes, back pack and lunches ready the night before! My daughters gets there clothes out the night before for school during the week! I usually try to have everything ready the night before 🙂 makes my mornings a lot smoother. Get my clothes ready and make sure most of my lunch is ready to go. I make mornings less hectic by planning clothing and meals the Sunday of each week. This takes ALL the stress down a notch. I also wake up a good half hour earlier than necessary. I like a morning of leisure not freaking out. I am not a morning person but it is sooooo worth it! We get everything ready the night before! I get up a half hour earlier than normal. I get everything ready the night before and all I have to do is eat breakfast.